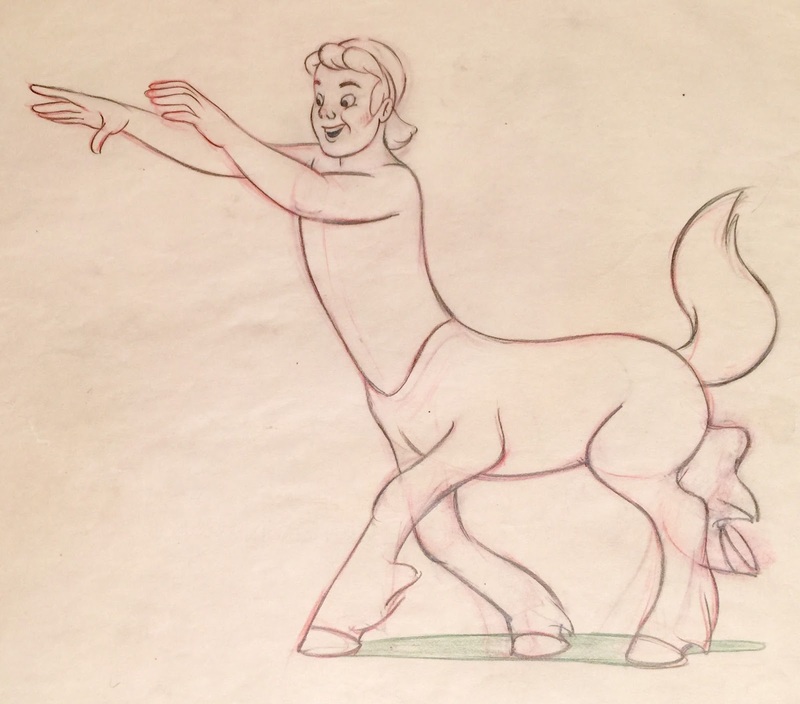 Story sketch artist James Bodrero came up with terrific designs for Fantasia's Pastoral sequence. 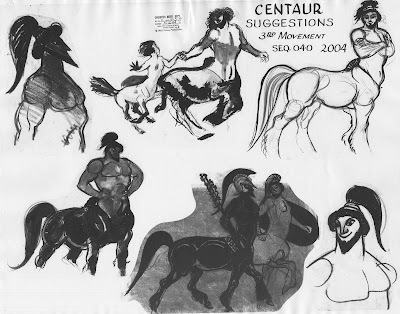 Particularly the male centaurs with their robust anatomy fit right into the greek mythological settings. 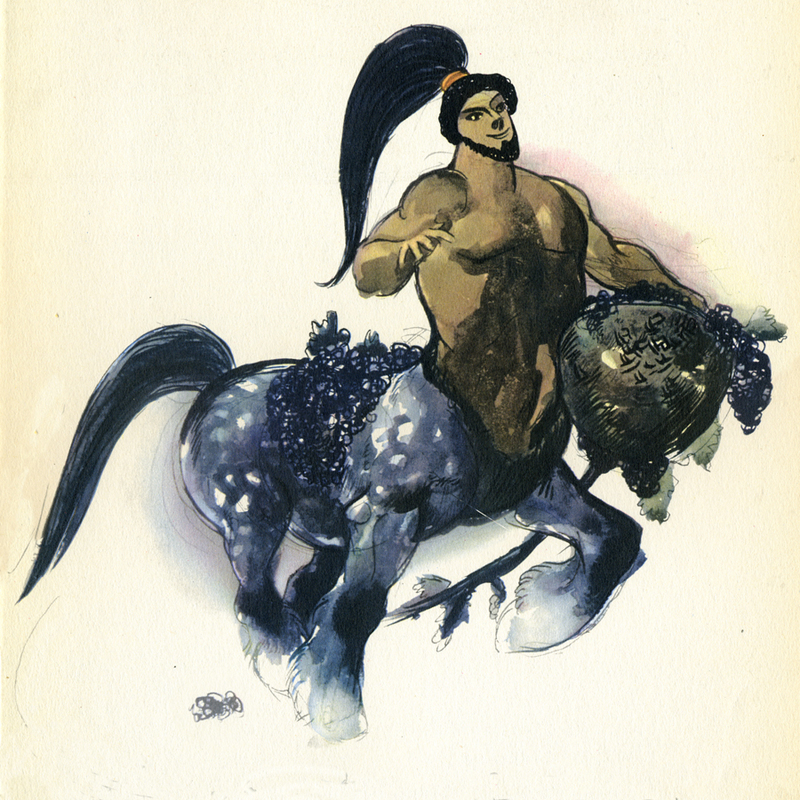 Bodrero combined a Clydesdale horse with the upper body of a Greek warrior. 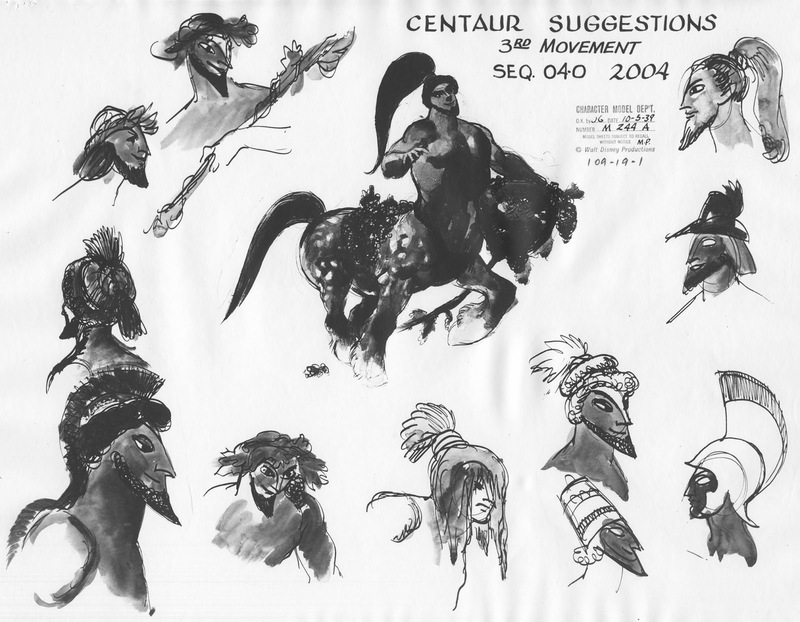 These sketches are loose, and parts of the designs are unresolved, therefor not quite ready for animation. But the overall direction in terms of intriguing designs feels right. 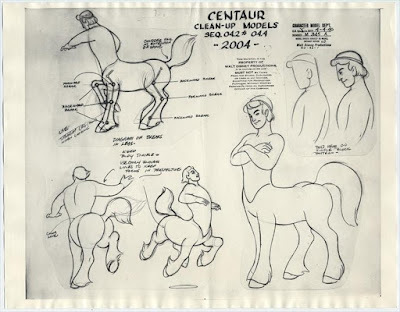 By the time final animation models were needed, these centaurs had undergone an unfortunate transformation. 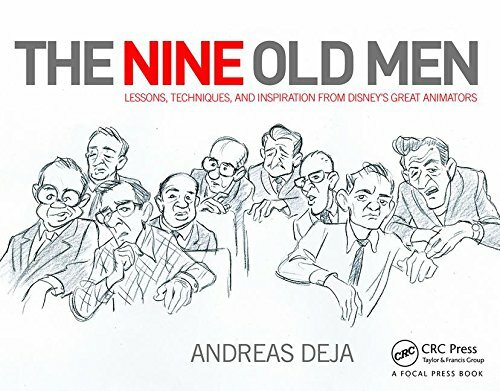 Bodrero's solid draughtsmanship is nowhere to be seen. Instead, heavy simplification helped turn these guys into California beach boys (I am quoting from a film critic's observation after the film's release). 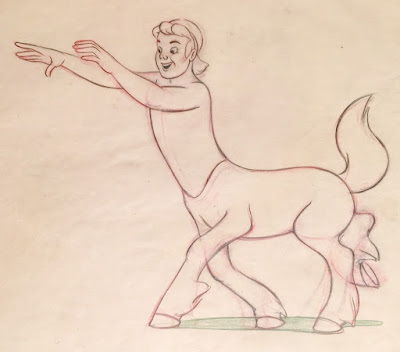 The movie's other fantasy creatures, the winged horses, work very well. 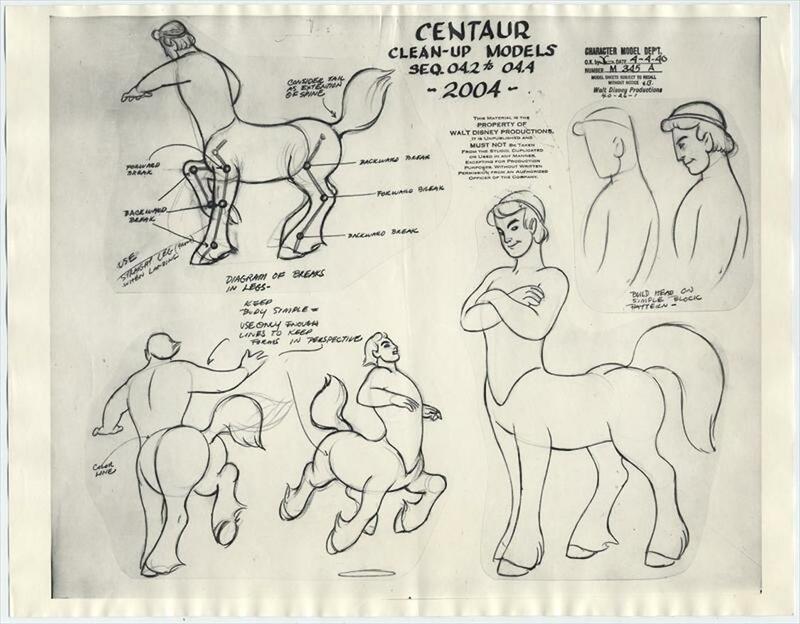 But the centaurs never reached the design and animation standard they deserved.